I was talking to my girlfriend Audrey the other day and she had no idea what ThredUp was, and I was like WUT. GIRL. Get on it. If you like saving a buck like me, it's the greatest place to scout out pre-owned clothes and accessories for a fraction of the original cost. And if your item doesn't fit, you can return it for free for store credit. 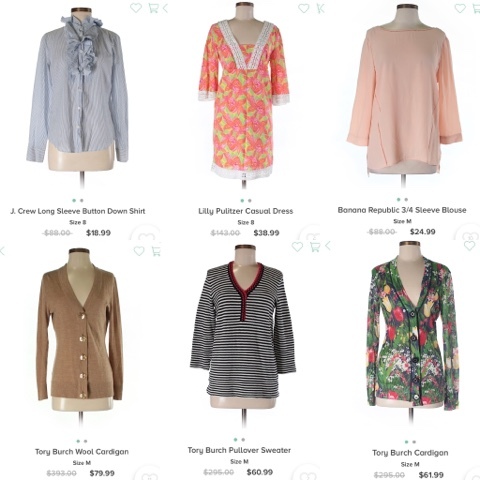 So this morning I'm coming to you to show a little sampling of my favorite items on their site in four sizes -- XS, S, M, and L. The prices are all so, so good, and it's a great way to beef up your transitional/fall wardrobe without breaking the bank. Okay, so for all of you XS ladies, here are six faves! I just love that floral feminine top from Anthro! And at less than $12! Moving on to the smalls, please someone snag that sequin cardi because I just can imagine how smart it would look over a white button-up and flare jeans. My medium gals ... a ruffle blouse is something I just can't quit. And I read once that the peachy pink color in that BR blouse is one of those universally flattering colors that works with all skintones and hair colors. And for those in large, the gingham button-down is so precious! Imagine it tucked into a pencil skirt with heels or with white cut-offs. So transitional. And the $11 animal print blouse, love so much! So happy shopping and let's all raise a tall Pumpkin Spice Latte to the onset of fall (which is next Friday the 22nd, if you're curious)! 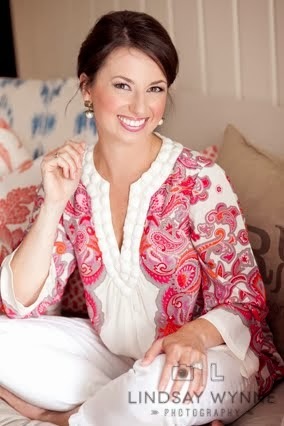 I found ThredUp through your blog ! Reading blogs such as yours has opened my eyes to so many wonderful websites ! Thanks for sharing and I'll be heading over there to see what's new. Oh. My. Gosh. I "need" that sequin cardigan! So adorable! I've been wanting to try but didn't realize you could return if it doesn't fit! Also did you do a post once about one of these sites to get rid of clothes you have? I don't think it was Thred Up but maybe? I tried looking back but can't remember when it was.